Registration Fee: Candidate should pay a Registration Fee of INR 650 for General category and INR 500 for Reserved category. The online form will be released at kea.kar.nic.in. Registration window was functional for approximately one month. There are two phases of the entire procedure. Phase 1: Fill all the basic details. Here, one can edit or delete the information provided. Phase 2: Review and confirm the information provided. After confirming, candidates cannot make any edits in the application form. Go to the ‘New User? Register here’ tab. Fill the required details such as Name, Gender, Contact Details, etc. You will then receive a User ID and Password on the email ID and mobile number provided by them. Now login into the account using the credentials provided at the time of registration. Candidates must keep scanned copies of their latest coloured photograph, signature, parent signature, and their left thumb impression. Upload the above-mentioned documents in JPG/JPEG format. Select on the “Save and Next” button. Click on next. A declaration page will appear on the screen, candidates must read the declaration and then submit. KEA has defined specific size, format, and dimensions for each of the document. Failing to follow the same will result in cancellation of the application. The photo should be in a passport size. It should be a recent one, preferably in colour. The signature should be done on a white paper. It should be done with a blue or black ink. Signatures in capital letters will not be accepted. Thumbprint should not be blurred. It should be in blue or blank ink. After furnishing and the details in the form, candidates must review the entire online form. Post that, a declaration box will pop-up. Read all the details and click ‘Agree’ if you are satisfied with the conditions. Make note, no edits or omits can be done after submitting the form. To complete the payment, candidates must select the bank challan and take a print out of the same. General category candidates must pay INR 650 while reserved category candidates shall pay INR 500 as application fee. The payment can be made through any branch of the specified bank. Candidates will be given two copies of the challan after the payment is completed, and one copy will be retained by the bank itself. Retain a proof of the payment for any future references. After filling the Application Form, take a print out for future references. what are the credentials need to be submitted? A domicile certificate needs to be submitted along with UG marks cards. 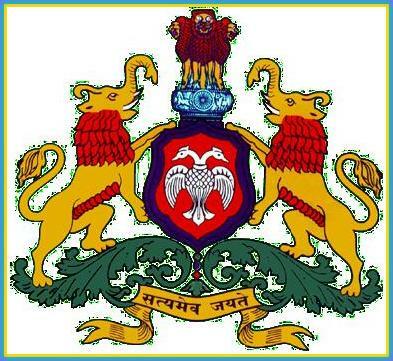 Application Form of Karnataka PGCET will be available in online from the official website. Candidate need to fill the Application form and upload the scanned document required via online only. To know more about Karnataka PGCET Click Here. Pls, let me know what are we suppose to do after getting the application form..?? I am a non-Karnataka citizen..should I get admission for MTech based on gate score as merit seat in Bangalore?? The candidate who has valid GATE scorecard can also apply for Karnataka PGCET. To know more about Karnataka PGCET Click Here. Do I have to upload a scanned copy of my signature? Yes, candidates have to upload a scanned copy of their photograph, signature and left thumb impression. Should I upload my photograph during the Karnataka PGCET application process? Yes, candidates should upload a scanned passport size colour photograph not older than six months. Candidates must fill in the registration fields with details of date of birth, identity, and residential details. Contact details must be mentioned as well. Candidates will also need to mention their educational qualifications on the form. Candidates will have to mention if they are a Karnataka native or otherwise. After filling in the details, candidates will receive an SMS and email with their password and login ID. Detailed academic records, as well as GATE score (if relevant), must be entered. Candidates will need to upload a scanned photograph of passport size in color and not older than six months. They also need to upload a scanned copy of their signature and an impression of the left thumb. Take a print out of the Karnataka PGCET application form. Do I have to upload my GATE scores in the PGCET application form? Yes. Candidates have to enter their GATE score. How will I get my login ID and password? Candidates will receive an SMS and email with their password and login ID after they fill up the details in the application form. I want to apply for M.Tech and MBA. Should I fill only one form or two separate forms? Candidates willing to apply for more than one course need to fill up separate PGCET application forms for each course.